If you’re a bit of a cheese-oholic, we feel you. You probably love any excuse to wrap Prosciutto di Parma around gooey cheese and sweet fruits, so this recipe is for you. Sara Jenkin’s recipe, though simple and easy to execute, takes prosciutto wrapped pears and prosciutto wrapped cheese to the next level. With the addition of creamy Saint-Marcellin, fresh bread and some drizzled olive oil and freshly cracked pepper, perfection is in the simplicity. So, choose the highest quality ingredients, like Prosciutto di Parma, to make this prosciutto wrapped pears dish a stand-out on a charcuterie board at your next dinner party. 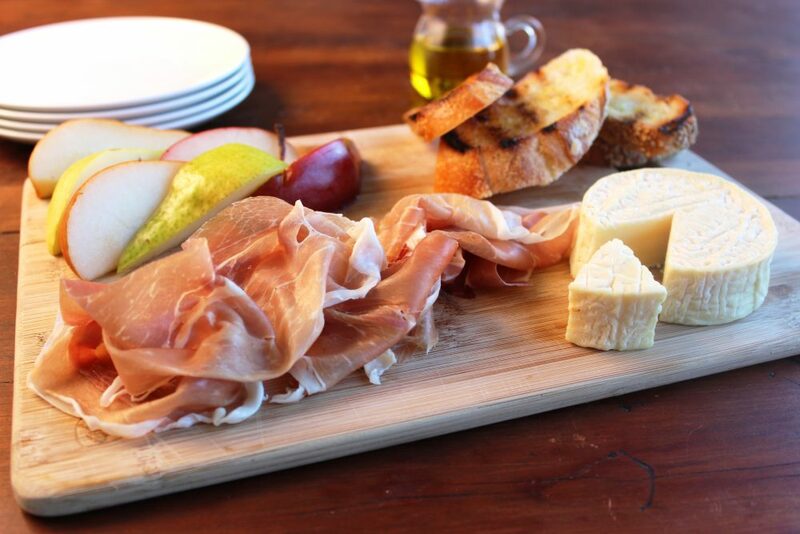 Arrange three slices of prosciutto on 6 plates each. Quarter and core the pears and divide among the plates. Pile a couple of pieces of toast on each plate. Finish by drizzling olive oil and seasoning with freshly cracked black pepper over everything.